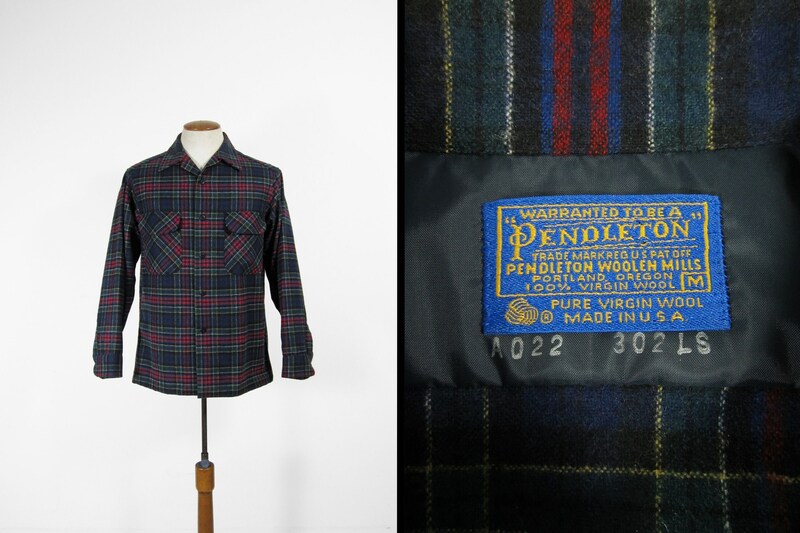 This wool board shirt is in deadstock condition and was American made by Pendleton. Features include two flap pockets, loop collar closure, and authentic Allison Tartan. This shirt is labeled as a men's medium but please compare the measurements below to your favorite shirt, laid flat, to ensure a proper fit.